There are cars crossing the history as fleeting splendor, meteors that spread light understanding and ignite dreams. Then suddenly evaporate. Not much time passes and also the memory fades. So it was for the Condor Aguzzoli. 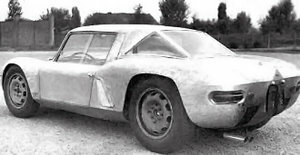 In the early sixties destò wonder the courage that manufacturers put the engine behind when all the front and put it in a wonderful body, where he saw the hand of the artist. Born to dominate races, failed the objective: thus ended the run. With the passion for cars many remembered her, even at the Motor Historical. The first track to discover which was his destiny to found almost by chance in the service station Agip of Modena North. By refuelling, not without surprise, riconoscemmo manager of Umberto Masetti, the first Italian motorcycle world champion in the 500 class. When Laurel Iridato was 24 years in 1950, drove the Gilera and had a tough battle with English Geoff Duke and then beat Leslie Graham in 1952. While the row of cars waiting for the full start behind ours, Masetti Deliziò with episodes of his life adventure, in which races with everything that had an engine and wheels: motorcycles, go-karts and cars. A lighting sudden we remembered that Masetti led the Condor Aguzzoli. 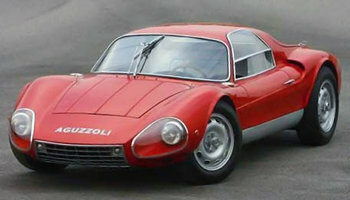 Moved car to avoid being an obstacle, with the ripercorremmo Masetti found the whole story of the beautiful coupe, which held to emphasize that not only was the pilot, but also sports director. Finally, Sergio Aguzzoli, Alfa Romeo dealer firms in Parma, forces his own workshop built a prototype car called the Giulietta Condor Aguzzoli. Manually model, purely functional body, moved from glass to plexi, lack of bumpers - all evidence of the desire to reduce the weight and destination of the racetrack. A distinctive feature of Condor was a centrally placed engine, in front of the rear axle - a solution that (such as sports cars, not racing) first appeared here very early in relation to the period of its dissemination.